My kids liked the Back-to-School Friendship game so well last week, that we have extended it another week. 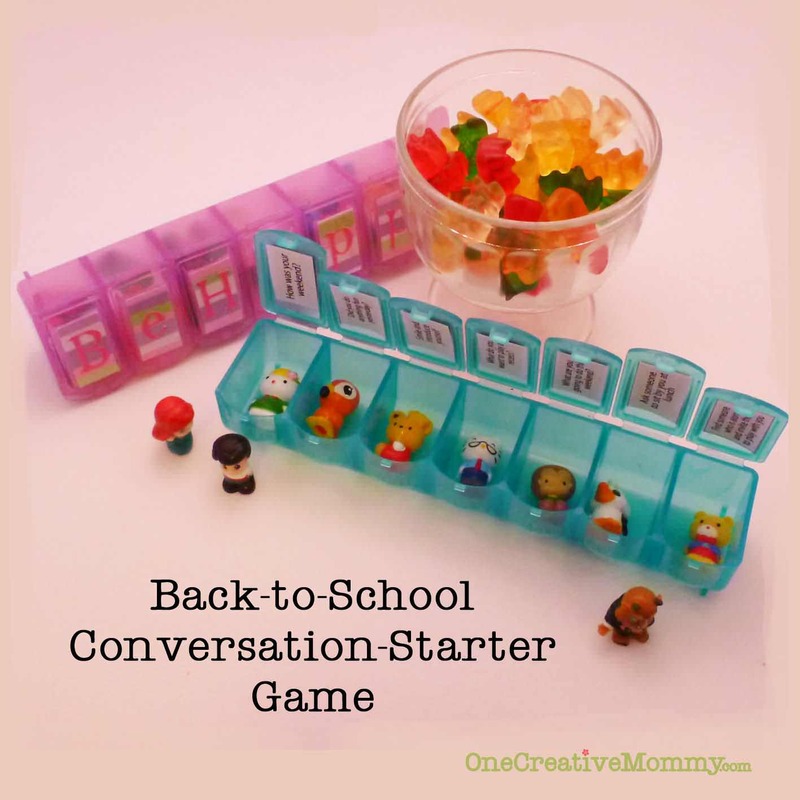 This week’s game is “Conversation Starters for Kids.” To learn how to make this game and how to play, visit this post. I changed the rules a little bit this week. They can do more than one activity a day, and (as long as they do five things during the week) they can eat the rest of the candy on the weekend. There was no way that candy in their two uncompleted slots was going to survive until today! Also, they don’t have to do exactly what’s written. If they can tell me something they did to go out of their comfort zone and/or make a friend, they earn the treat. If you aren’t into giving your kids candy, small toys and stickers will fit, too. Those are Squinkies in the picture. 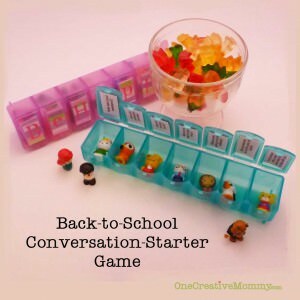 This is so cute and a great way to store Squinkies too! lol Thanks for sharing such a great motivational tool! Thanks so much for visiting and for the invite! I’m on my way to your site to link up and follow. I’d love it if you’d follow me back! Have a great day. What a fun idea! Thanks so much for stopping by Posed Perfection last week and leaving me sweet comments. I hope you’ll visit again. I am following you via G+. Have a great week! Great idea! I loved the make-new-friends one too, and this same principle could be applied to so many things. :-) Thanks for sharing at The Fun In Functional! What a great idea! I am going to have to get my grandson those squinkys. That is another great idea! It’s great to help your kids stretch their comfort zones in such a fun and rewarding way.